Last year’s production of Charleston Stage’s A Christmas Carolset box office records with sold out performances. By popular demand, this holiday favorite returns. 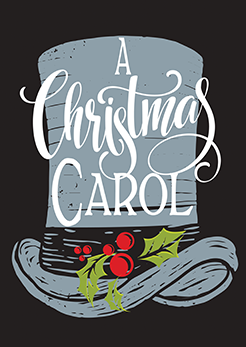 Celebrate the warmth of the holidays with Ebenezer Scrooge, Tiny Tim, and the spirits of Christmas Past, Present, and Future in Charleston Stage’s original and imaginative take on Dickens’s immortal classic. A Christmas Carol is the show that always puts you in the Christmas spirit. Christmas card sets, hundreds of colorful costumes, a live orchestra, and a professional cast will help ring in your holiday season. This spectacular production is filled with visual marvels and special effects—including flying spirits and a ravishing holiday musical score.